Having a mobile phone in possession has become on of the most demanding need of everyone. After the advent of social media, everyone feels so connected online and wants to keep this bond firm as long as they can. However, for individuals who have iPhone and are caught in a situation where they need the services of a professional phone repairers, they might be little scared as iPhone is apprehended as one of the most precious possession now a day. If you need to get your problems resolved, you would need to find trusted sources regarding LA iPhone Repair and Unlock services so that you may get satisfied before giving your device for repair. It is mandatory to ensure that the device is going into the safe hands. For this purpose, you need to find LA iPhone Repair and Unlock Center which is meant to handle your iPhone as their own device. One of the most difficult part to find a reliable LA iPhone Repair services is to judge the sources. It is mandatory to ensure that the sources from where you have learned about the LA iPhone Repair and Unlock Center are trusted or not. You may also observe the fake reviews so you have to be making sure that the source must be trusted by the majority of the online community. LA Weekly is considered as one of the most apprehended sources that have reviewed the LA iPhone Repair and Unlock Center in an elegant way. The online magazine has praised the LA iPhone Repair services to build the trust of online users who remain in search of reviews to build the trust and loyalty with such companies. 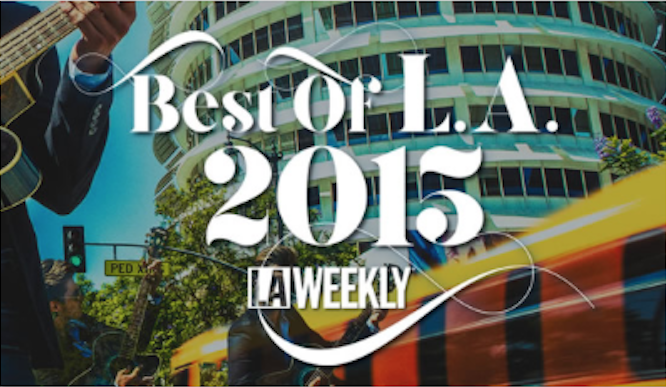 In 2015, LA Weekly has nominated the company as one of the best service providers in the Los Angeles. According to LA Weekly, no matter what kind of problem is there with your iPhone, you can trust the LA iPhone Repair and Unlock Center to have the best services within your price range. The company provides the cost effective solutions and quotations as LA iPhone Repair services. However, if you think that there are some error and the company cannot perform as said in the LA Weekly, you can simply search for other companies in the area and ask them about the LA iPhone Repair services charges and compare them with the company. You will certainly figure out about the price difference. LA Weekly is a trusted source as it has beautifully depicted expertise and working environment of Repair and Unlocking Center in its review. LA Weekly has beautifully reviewed the expertise of LA iPhone Repair service by saying that an individual attending a party may suffer from the breaking of the touch screen of his iPhone and might make his party worst for him or her. But such people need not to be worried about the consequences as LA iPhone Repair and Unlock Center serves you the best to replace your digitizer screen with the ample expertise and professional tools. The company is also responsible for the provision of many other services such as network unlocking to make your life simpler. No matter either the digitizer has stopped responding or you have crashed it in pieces, you will find it in smooth working condition after getting it repaired from the company. LA weekly has also reviewed the LCD screen services that are offered by the LA iPhone Repair and Service center. The company possesses the variety of tools that ensures the working of both the LCD and Touchscreen of an iPhone. There is a difference between LCD and Digitizer as the Digitizer is the touch glass that records the touching on the screen while the LCD is responsible for the provision of the display. So technically, if you touch is fine and you LCD is not giving you the display then you are badly in need of this company. During 2015, LA Weekly that is apprehended one of the most anticipated and trusted source of information had published the list of best things and services. At that year, the company was nominated as one of the best service providing companies throughout the Los Angeles. The LA Weekly not only published the complete address of the facility but also provided the contact numbers and the Google map intoxicating their location on the map so that individuals around LA my reach the facility easily. Furthermore, LA Weekly used many examples to convince the users about the genuine products and services that are being rendered by the company. It told us that most of the people get the screen of their smartphone bricked which makes it painful for them as iPhone is considered as a part of the body no a day. It named the facility as a place of magic where the real magic happens as when the non-working phone enters the repairing facility and after a specific time period, it comes out in fully working condition without loss or theft of personal data. Furthermore, LA Weekly has told its readers regarding the business background of the company as it has elegantly carved that the company business is owned by a family for past 12 years and exists in the same place throughout this period. Lastly, it further added that the company has hired the young enthusiastic professionals who are determined to provide over the counter unlocking and repairing services along with the many other branded apple services. You are offered with the different complete packages for iDevices repairing and package plans to your convenience.